The Sub-12 gets its intensity from a 12-inch, down-firing driver coupled to a highly efficient BASH amplifier that creates 300 watts of continuous power and 650 watts of dynamic power. 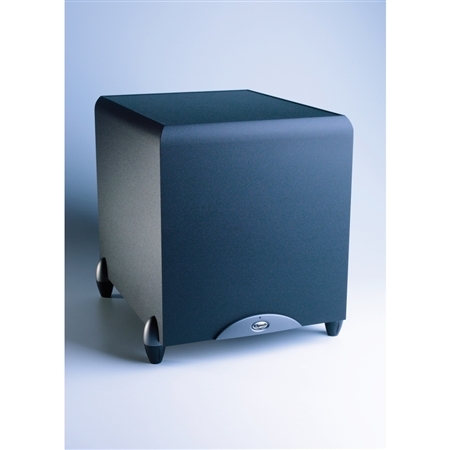 The subwoofer’s built-in, steep-slope (24dB/octave) low-pass crossover is continuously adjustable from 40 to 120Hz. A phase control facilitates acoustical integration of the subwoofer with the other speakers in the system. An “auto power” feature enables the subwoofer to turn itself on and off (standby) automatically, based on the presence or absence of an audio signal. A blue/red dual color LED display on the front of the subwoofer indicates whether the unit is on or in standby mode.